Vampire Beauties: Vampiress Review:"The Boy Who Cried Werewolf"
Vampiress Review:"The Boy Who Cried Werewolf"
The Gist: An American Family inherits a Romanian castle and learns that their family has a curse attached to it. Clarification: Hunter is a young kid who is obsessed with horror comics. As soon as he sees the castle his family has inherited he's convinced that something spooky is going on there. Little did he know how right he was as an ancient curse turns his sister into a werewolf. On top of that, the woman who is trying to court their single father and take the castle from them reveals herself to be a vampire. 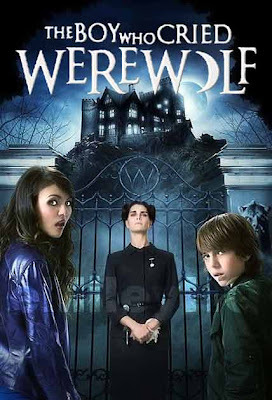 Selling Point: Victoria Justices slow transformation into a werewolf (below). Female Vampire Factor: This movie gets a Female Vampire Rating of 2 out of 5. There is only one and she comes off as nothing more than your average run of the mill fairy tale villain. Honestly, Victoria Justices werewolf is more vampiric in a lot of ways. Paulina was a real estate agent who was trying to buy the castle from the Sands family. When Hunter started to suspect that something was going on she devised a plan to get rid of the kids. That is when we find out that she is really a vampire and that the castle is more than just a home. Since this is a kids film her vampire costume isn't what you would call "flattering" which is sad as Brooke is a nice looking woman to say the least. Good movie with a good ending. I would like to see a sequel made to this movie to see what happens next.